I’ve always liked my vegetables. Salads are great. Roasted Brussels sprouts rock. Nothing says summer like a cool gazpacho. But, let’s be honest, veggies were never my first love. That would be meat—beef in particular. Meat always had its place for me: the center of the plate. I am not now, never was and never will be a vegan. Fogo de Chão is clearly a place for me. Fogo (668 Sixth Ave., Downtown) is one of two churrascarias in town; Rei do Gado, the other, is also excellent. A churrascaria is a restaurant that cooks and serves meat in the Brazilian barbecue style known as “churrasco,” which traces its origins to Brazilian cowboys known as gauchos who tended the herds of cattle that roamed thepampas. The gauchos roasted their meats on long spits over pits containing an open fire or charcoal embers. 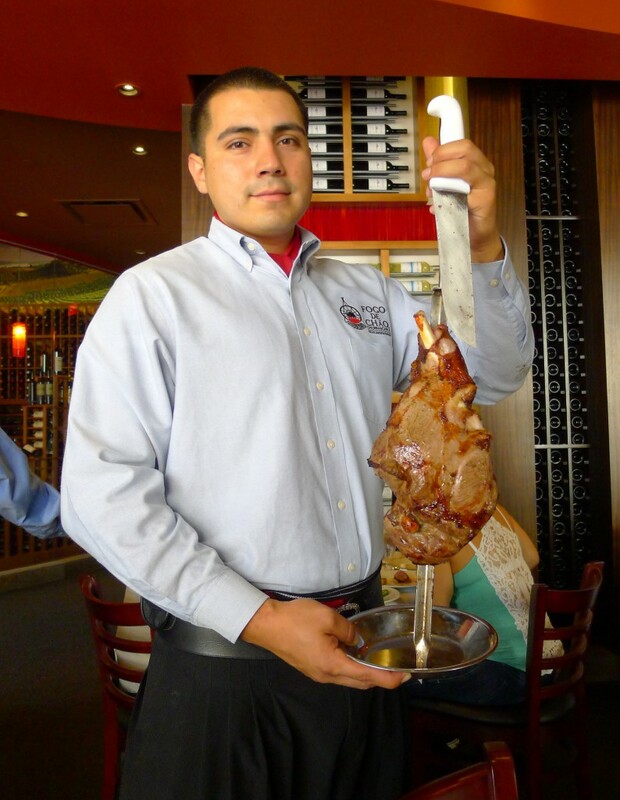 A modern churrascaria meal is defined by continuous service in which wait staff, poetically called “gauchos” (though few have likely spent much time on horseback), circulate throughout the dining room with skewers of a wide variety of cuts of different meats. Smaller pieces—such as sausages, lamb chops or chicken legs—are lowered onto your plate whole while larger cuts of beef or lamb are sliced off the skewers. A meal at Fogo is a study in the sensual qualities of meat. It may seem counterintuitive given the burly gaucho back-story—not to mention the sheer size and weight of a meal consisting of wave upon wave of meat—but Fogo is really all about subtlety. That’s right: subtlety. The real action lies in the little but important differentiations in the flavors of the various cuts. The beef ancho is the heart of the rib eye and is all about the brilliant marbling of the cut; it speaks to the flavor that comes from the fat. In contrast, the faldinha, a cut from the bottom sirloin, is all about the interplay between sweet and savory as the caramelized surface of the meat interacts with the rosy interior. Fogo also plays with different seasonings and bacon-wraps the filet mignon (tantamount to cheating). Perhaps the best offerings at Fogo are the cordeiro (lamb). The chops are excellent: a cut that’s luxurious in flavor as well as texture. The great glory, though, might be the leg of lamb. The first flavor to greet your tongue is the beautiful caramelization, but that gives way to a profound, meaty lamb flavor with just the slightest hint of gaminess. Chicken legs, linguiçasausage, pork loin and ribs are also offered, but they’re mere sideshows. It’s the interplay of the beef cuts and the leg of lamb that justify the not-inconsiderable price of admission ($46.50 for dinner, $29.50 for lunch). It may also be worth noting that Fogo has a salad and sides bar with more than 30 brilliant gourmet items. But let’s face it: You’re not going to Fogo de Chão for the salad bar. It may be great, but for Fogo—just like me as a kid—it’s all about the meat. Your comment that implied a person could be a vegan is incorrect. Own your choices, David. You ARE your choices. That, at the very least, is my opinion.